Schwerin is a city in Germany located in the state of Mecklenburg-Western Pomerania. It is known as the city of lakes and the largest of them is the Schweriner See. The Schwerin Castle was built between 1845 – 1857. It is located on the Schlossinsel on the main lake of the city. The interior is sumptuously decorated with fine silk wallpaper and golden ornaments. The Schwerin Cathedral was built in the 13th century. It is considered one of the best examples of Gothic architecture in northern Germany. Its tower is 118 meters high and was added in 1893. 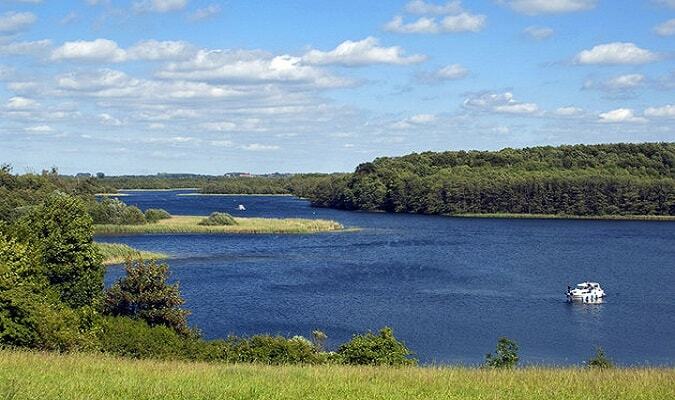 The Lake Schwerin covers an area of 65 km², along with about 25 medium-sized lakes and numerous smaller ones. The Schwerin Castle is home to the impressive Schlossgarten. 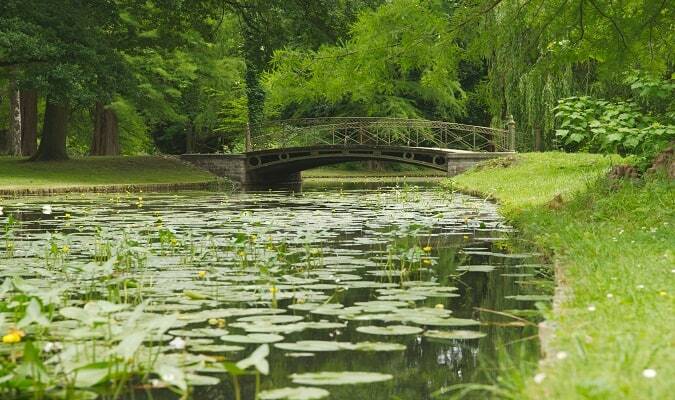 Highlights of these beautiful gardens are its numerous lakes and sculptures. The Staatliches Museum is located in the Alter Garten, a square surrounded by imposing buildings. The Amedia Plaza is located 20 minutes from the historic city center. Rooms are equipped with a TV, work desk, coffee maker. 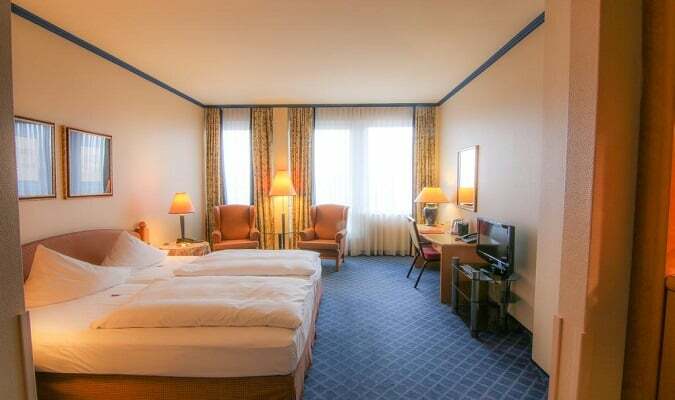 The Mercure Altstadt is located 10 minutes from the castle and lake. Rooms are equipped with a TV, minibar, work desk, coffee maker. 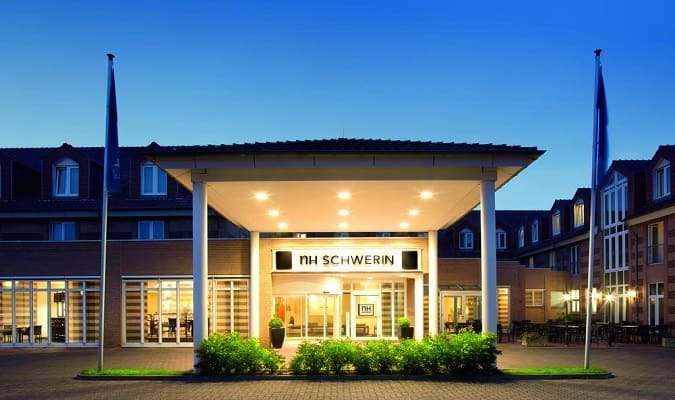 The NH Schwerin is near the Ostorfer See and 5 km from historic city center. Rooms are equipped with a flat-screen TV, work desk, minibar. The Schlosspark Center has more the 120 stores. Brands: Vero Moda, Tom Tailor, Tommy Hilfiger, Gerry Weber, Bonita. Schwerin has easy train access from various cities in Germany. Famous cities nearby: Berlin, Lübeck, Hamburg.